These Stylish Leather bracelets bend easily to fit any wrist. 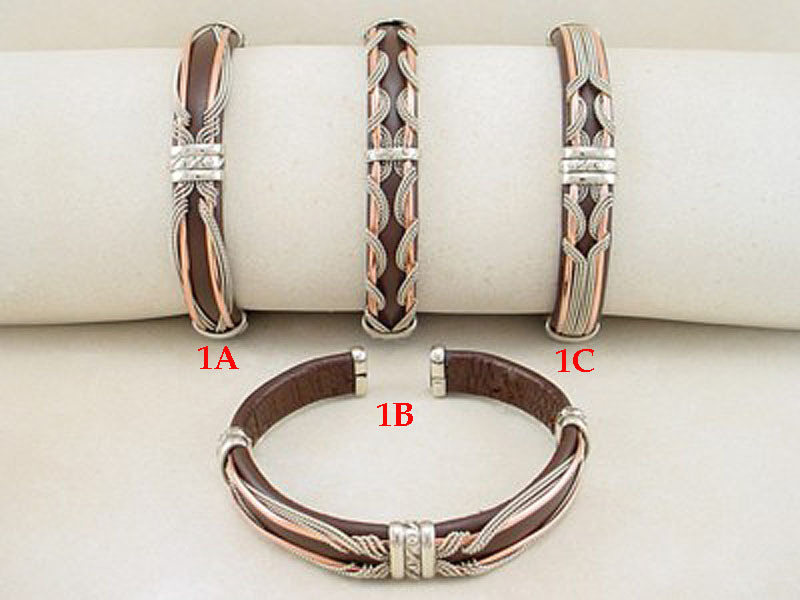 A soft mixed metal is covered by leather and then wire wrapped with these unique designs. Simply rub with a polishing cloth to clean.